In this Odd One Out Picture Puzzle, four Kakuro puzzles are given. Three out of these four Kakuro puzzles are exactly alike. However one Kakuro puzzle is different from other three puzzle. 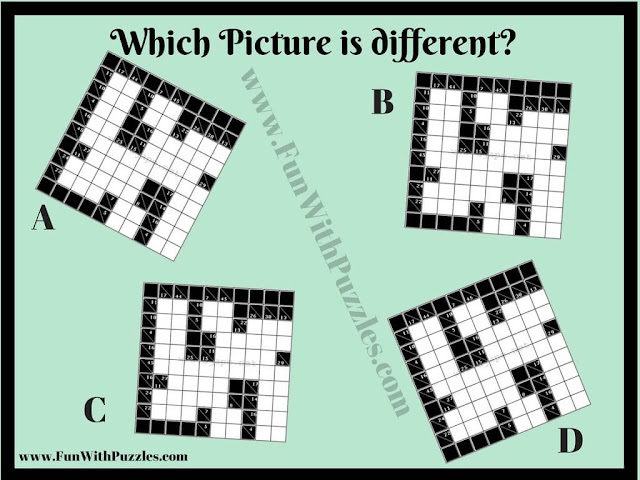 Can you find out which picture is different from other three pictures? Can you tell which Kakuro Puzzle is Odd One Out?